Your throat is burning. Your stomach is rioting. Your heart is hammering. These are common reactions to high acid coffee, and many people write them off as necessary evils to get their caffeine fix. But what if you didn't have to suffer for your cappuccinos and espressos? What if there was a way to enjoy all of your favorite coffee beverages without the irritated stomach lining afterwards? Here are just a few of the best low acid coffee brands on the market. They'll give you all of the tastes and aromas that you expect from your morning cup of joe, but they'll cause much less gastric distress. BEST SUITED FOR: People who need low-acid beans but don’t want to compromise on flavor. LifeBoost is an up-and-coming brand in the coffee world, and it’s only a matter of time before they’re huge. This low-acid medium roast is our favorite of their entire line of beans, with a smooth chocolate richness, a dark caramel sweetness, and a hint of fruity aromas (think apple and berries). It’s Certified Organic, so you know there were never pesticides sprayed on it at the farm (conventional farms use tons of harsh chemical fertilizers—sometimes up to 250 pounds per acre!). It’s also Fair Trade, meaning the farmers were paid $0.30 extra per pound of coffee. It may not seem like much, but with the price of coffee hovering at just $1.00/pound, that extra 30% income is hugely helpful and is what enables the farmers to grow such incredibly delicious and ethical coffee. And since the beans are handpicked and carefully fermented for precisely 26 hours, there’s no chance for harmful mycotoxins or harsh acids to form! If you’ve tried a few low-acid coffees and feel like you’re sacrificing on quality, stress no more—your search for no-compromise low-acid beans is over. ​ Try Lifeboost for yours​​elf! It's not unusual for organic coffee to have lower acidity levels than the regular stuff, and Subtle Earth is a great example of java that's both eco- and stomach-friendly. For starters, Subtle Earth grows and harvests their coffee beans in the high mountains of Honduras. With fresh air, rich soil and a complete lack of pesticides, these beans thrive in all-natural conditions before being gathered and shipped overseas. Subtle Earth also boasts a complex and fully-developed flavor profile. It offers just enough of a kick to be a respectable cup of coffee; then it soothes the bitterness with hints of honey, caramel and even chocolate. It's an excellent union between strong and sweet. Last but not least, Subtle Earth is a low acid coffee. Without any tartness to upset throats and stomachs, it's perfect for people who suffer from things like indigestion. The lower acid content is good for your teeth, too! If you're trying to brew gentler, less astringent coffees, give Subtle Earth a try. It'll have the flavor that you expect from a good cup of coffee without the usual acidity. 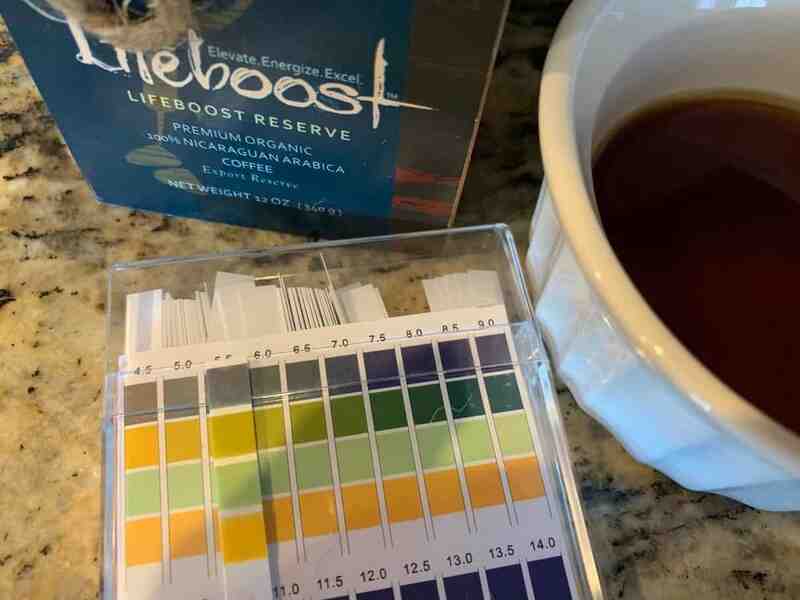 Measuring a 5.81 on the pH scale, Puroast has less than half of the acidity of other coffee brands. It's also organic, kosher, gluten-free and calorie-free, so it can offer a lot of health benefits to anyone trying to live better. The secret to Puroast's success is in their roasting process. Inspired by the traditional coffee brewers of Venezuela, they slow-roast their beans over a wood fire. Not only does this ensure that every bean roasts to its full potential, but it also draws out flavor while siphoning away acids and oils. Another great thing about Puroast coffee is its nutrients. It offers five times as many antioxidants as regular coffee and seven times as many as green tea, so it's a cup of joe that you can actually feel good about drinking! "Healthy coffee" might be a bit of an oxymoron, but Puroast is certainly trying. If nothing else, they're a way better option than harsh, high acid brands. By offering a tasty, all-natural blend of slow-roasted coffee beans that are brimming with antioxidants, Puroast is changing the coffee game. Its low acidity is just another benefit on top of an already-full resume. Some organic coffee companies do the bare minimum to get their USDA sticker. Others are genuinely committed to growing high-quality coffee beans on pure, unprocessed land that doesn't damage the local environment. Can you guess which one describes Java Planet? Grown and harvested in the wilds of Colombia, Java Planet Coffee is completely free of acids, chemicals, toxins, oils and anything else that might ruin a perfectly good latte. It creates a rich, full-body brew that you'll want to savor before swallowing. Most importantly, its flavor is bold but non-acidic. You'll taste nuts and spices, but it won't irritate your stomach with anything bitter. This makes Java Planet ideal for people who are struggling with health issues or just getting tired of overly harsh coffee drinks every morning. With Java Planet, you can create a coffee beverage that's as smooth as the surface of your mug. Don't force yourself to drink bitter coffee just because you need a hit of caffeine. Java Planet will provide energy, flavor and body without any of the usual tang. Geisha Coffee gets its name from the "gesha" coffee of Ethiopia. Long ago, it was transported to the mountains of Costa Rica to grow in abundance, and the result is this Geisha Coffee from Volcanica. Geisha Coffee has a very strong flavor profile that makes it unique in the coffee world. The first few sips will taste almost floral, but as you get deeper into the cup, you'll start to recognize cocoa, molasses and brown sugar. There are even hints of tobacco here and there. Don't let its flavors fool you, however. Geisha Coffee might have a strong, bold taste, but it's also a low acid coffee. You can drink it every morning to try and identify all of its complex notes, but it won't ever bring bitter tears to your eyes. You won't suffer from irritable bowels after a mug or even a pot. It's a well-balanced brew that will rest easily in your stomach. At the end of the day, that's all that you can ask from a low acid coffee. Geisha Coffee offers a one-of-a-kind flavor while also staying on the lower end of the acid spectrum. It's not often that these benefits go together, so enjoy them while you can! When it comes to coffee, pregnant women are usually out of luck. Even if they drink decaf to keep things safe for the baby, the high acid levels can give them heartburn and increase their nausea. Momee Coffee is a rare coffee brand that can be safely enjoyed by pregnant and nursing women. For starters, it's available with four different caffeine levels for women in every stage of pregnancy, so you can move along the line as your baby bump gets bigger. It's also completely organic, so you won't have to worry about any chemical additives having adverse effects on you and your unborn child. 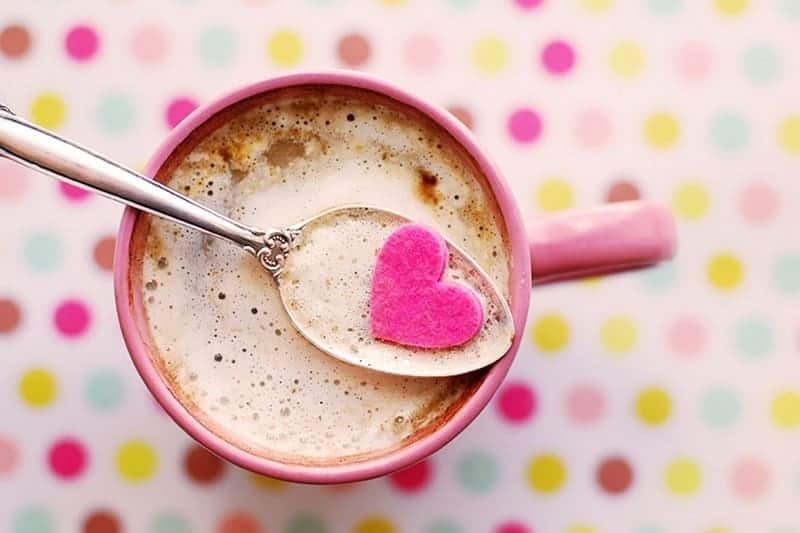 Best of all, Mommee Coffee has a very low acid content that won't upset your sensitive stomach. It boasts 60 percent less chlorogenic acid than other coffee brands! This is because the beans are water-processed, reducing their acid content even before they're packaged, shipped and stored. Whether you're trying to conceive or already painting your nursery, Mommee Coffee has you covered. You don't have to give up coffee while pregnant. You just have to be careful about the brands that you drink. Safe for mothers in every trimester, Mommee Coffee is gentle enough to be a non-irritating beverage while still providing that authentic coffee taste that you crave. HealthWise utilizes a special roasting process that extracts the good qualities of coffee beans while eliminating the bad ones. It's called "TechnoRoasting," and it's an FDA-approved process that makes HealthWise one of the biggest names in low acid coffee. The biggest benefit of TechnoRoasting is that it reduces harshness and bitterness. It draws out the acids of the coffee beans and creates mild, mellow flavors when brewed. The other great thing about TechnoRoasting is that it boosts the nutrients of its coffee beans. They're naturally filled with vitamins, minerals and antioxidants, but traditional brewing methods tend to cover them up or strip them away. TechnoRoasting does neither. Instead, it protects these nutrients until they're ready to be delivered into your morning cup of joe. HealthWise isn't the only coffee company to utilize special brewing techniques that cut down on acidity, but their FDA approval makes them rarer than most. As a certified brand, they're worth looking into if you're serious about cutting acid out of your coffee. Out with the bad; in with the good. HealthWise blasts away the things that you don't need in your coffee and replaces them with health-boosting elements that will make your day brighter. Tieman's Fusion Coffee lives up to its name by infusing good old-fashioned java with the properties of both red and green tea. It's a tasty alliance, and it's good for you, too. 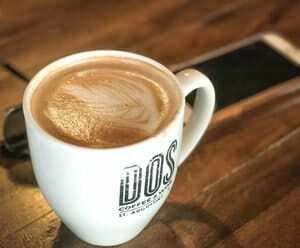 The coffee is made from 100 percent arabica beans that are grown and harvested in South America. The tea is matcha green tea and rooibos red tea. There's even some goji berry powder thrown in for extra health benefits! These ingredients might not seem like they go together, but the end result is a light and smooth coffee beverage that can be consumed at any time of day. Use it to wake up in the morning; enjoy it as an afternoon pick-me-up; toss it back to help you stay up late. Its pH level is only 5.85, so it isn't acidic enough to hurt you. Some people report that it doesn't even make them jittery. A coffee/tea hybrid might not be the first thing that you thought of when considering low acid beverages, but Tieman's Fusion Coffee proves that it's a viable option. Packed with everything from immune-boosting matcha to anti-inflammatory berries, Tieman's Fusion Coffee is a fun and tasty beverage that you don't have to feel guilty about drinking. Do you love the taste of dark roasts? You don't need to give them up just because you're trying to cut back on your acids. Simpatico is a low acid coffee that offers deep, rich flavors and a full-body blend, so you can enjoy the same tastes that you've always loved without suffering from the gastric issues that usually accompany them. You might be wondering how it's possible to achieve full flavors without full acids. The answer lies in Simpatico's organic harvesting process. They get their beans from Oaxaca, Mexico, and the beans are shade-grown and entirely free of chemicals. Once they're shipped to Simpatico, they're roasted in carefully small batches to maintain their freshness. The final product is a low acid coffee that doesn't have a burnt or bitter aftertaste. You won't ever take a big sip and immediately want to spit it right back out. Simpatico goes down smoothly and easily, and it won't cause a fuss where your organs and intestines are concerned, either. It's non-irritating and non-inflammatory. If you're a fan of dark roasts, this is the brand for you. Simpatico lets you enjoy your favorite brew while also minimizing its aftereffects. It's consequence-free coffee! Nothing beats the smell of a dark-roasted coffee filling up a room. Just make sure that you buy Simpatico so that you can enjoy the flavors and aromas without the bitterness. Euromild is some of the most temperate coffee on the market. It contains 99.5 percent less acid than other brands, so it isn't playing around when it comes to reducing heartburn or soothing angry stomachs. If you can smell, taste or feel the 0.5 percent acid level in this coffee, you're absolutely superhuman! The good thing about Euromild, however, is that it doesn't sacrifice flavor for health benefits. While it lives up to its name in terms of mildness, it's still delicious. It's made with pure arabica beans that are imported from Colombia for a smooth and even brew, and it's rich enough that it doesn't feel like you're drinking a weak or watery beverage. It tastes like a regular, gentle coffee; it just so happens to have a low acid content, too. Euromild is pre-ground for your convenience, so you won't have to mess around with any beans. Simply load up your coffeemaker and enjoy! There's no such thing as an acid-free coffee, but Euromild comes close. With acid levels of almost zero, it's one of the mildest, healthiest coffee brands available today. These are just a few of the best low acid coffee brands. As you can see, they range in everything from brewing type to country of origin, but all of them can help you settle your stomach and slow down your heart. Good luck! Low Acid Coffee: Is It Worth It? If you're a gourmet coffee shopper, you've probably come across brands talking about "acidity" in the same breath as flavors, aromas and roasts. But what does it mean? Does it really make a difference in your morning caffeine fix? What should you know about low acid coffee before you pull out your credit card? Here are just a few things to consider before switching brands. First things first: There are several ways to define acidity. While some people use it to describe sharp, tangy flavors, others are referring to the coffee's actual pH level. You'll want to know the difference when shopping for low acid coffee. If a brand offers numbers and percentages for their acid content, they're probably referring to pH levels. If they just talk about "mild" and "non-acidic" brews, they're probably hyping their flavor and nothing else. Acidic coffees are harder on your body than non-acidic ones. This is especially true if you're prone to gastric issues like heartburn or irritable bowel syndrome; the acid will reach your stomach lining and play havoc on your intestines. Acid is also terrible for your teeth because it strips away the enamel and encourages the formation of cavities over time. If your Americanos have been causing head, throat, stomach or tooth pain, now you know why. Dark coffee has many health benefits, including a lower acid level. This is because of the extended roasting process that minimizes stomach acid. When coffee is roasted, it creates something called N-methylpyridinium (NMP), a compound that lowers acid secretions in stomach cells. Many health-conscious coffee brands have taken advantage of this scientific curiosity and made their brews nice and dark to keep their acid content low. Another way to reduce the acidity of coffee beans is to use a cold brewing process. Instead of brewing your coffee quickly and with heat, you steep the beans in cold water for several hours to draw out some of their acids and oils. The result is a milder cup of java with a smoother taste and an acid level that's been reduced by as much as 60 percent. That's much easier on the stomach than regular coffee, and it only takes a bit more effort than hot-brewed coffee. Whether you're suffering from heartburn or just hoping to reduce the bitterness of your morning cuppa, there are many reasons to switch to low acid coffee. Give it a try! You might surprise your taste buds and improve your gastric health. I drink the Healthwise Gourmet coffee and I love it! Thank you for your informative answer to a “burning” question that’s been on my mind (and stomach) for a long time!